Sometimes you have a plumbing problem, sometimes an electrical one and other times it is your HVAC. Luckily, there are plumbing contractors. Plumbing contractors are individuals who are well versed in many fields, including plumbing, piping, heating, air conditioning, duct work, refrigeration and some electrical services. They are highly trained in the individual fields but also have expert knowledge of how systems are properly integrated into a home, office building and industrial structure. You may have come across plumbing contractors without even realizing it. Many plumbing contractors refer to themselves as offering ‘plumbing and heating services’ without necessarily advertising themselves as plumbing contractors. This is due to plumbing and heating being the more common terms used when potential clients are looking for specific services. The team at J's Plumbing, A/C Service & Maintenance has been helping the residential and commercial building owners of Qu'appelle for many years. In that time, we have seen many changes in a variety of industries. Heating systems are becoming more efficient, electrical systems are becoming more green conscious and plumbing technology has advanced to make finding and fixing problems quicker and less wasteful. We pride ourselves on the fact that we never stop learning. We attend conferences, seminars, workshops and classes to ensure that our Qu'appelle clients can rely on us to know and use the best practices available. With today’s consistently rising energy costs, improperly sealed ductwork, and poor insulation can pose serious problems for many home and business owners in Qu'appelle. 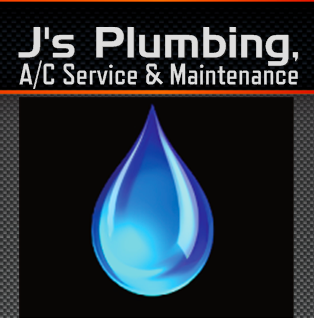 J's Plumbing, A/C Service & Maintenance provides complete HVAC system servicing including sales, installation, maintenance and repair, and offers numerous practical solutions that will reduce your energy costs. We have a focus on providing services that will help you save on your energy bills, allowing your investment to eventually pay for itself. We only use quality products and take pride in delivering exceptional customer service. It is important to us that your job is done right the first time and that you are comfortable having us in your home. Our specialists are licensed, bonded and insured to provide complete plumbing services for Qu'appelle homes and business. At J's Plumbing, A/C Service & Maintenance, we understand emergencies create panic, and with our years of industry expertise, we work hard to repair the damage so you can get back to your day. Being plumbing contractors our electrical services focus on the installation and applications that improve the quality of life for homes and businesses. With an in-depth knowledge of the mechanisms that make our lives livable, we can install or modify many products to work at optimal efficiency. If you have any questions or concerns about the services we offer the people of Qu'appelle please feel free to have a look around our website or contact us by phone or email. We look forward to hearing from you.